LIBI Members AvalonBay Communities featured in Long Island Business News 11.23.18 Click here to read article. Bartone Properties Breaks Ground for their newest project, The Cornerstone at Hauppauge. Click here to read full release. Riverhead Building Supply aquires Rhode Island based United Builders Supply. Click here to read full release. LIBI Member Andrew Nigri featured in Letters to the Editor in Crain’s in regards to Scaffold Law. Click here to read article. LIBI Member Anthony Bartone featured in the Newsday Business Section. The Cornerstone is being sold to…click here to read article. LIBI Members Jon Weiss of EB Construction, Bob Coughlan of TRITEC & Matthew Whalen of AvalonBay Communities were honored at LIBN Executive Circle Awards. Click here for more info. LIBI Member Georgica Green Ventures featured in Newsday article January 17, 2018. Click here to read article. LIBI Member Safety Consulting & Compliance awarded as the 2017 NAHB/Builders Mutual Insurance Safety Award for Excellence. Click here to read. LIBI Members featured in New York Times Article. Click here to read. LIBI Member Raj Mehta featured in CIO Review. Click here to read. LIBI Members Enpower Solar featured. Copy and paste link; https://www.solarpowerworldonline.com/2017/08/sunpower-empower-solar-installs-51-kw-solar-energy-system-paumanok-vineyards/ to read full article. LIBI Member Raj Mehta of Infosys International featured in Newsday for his golden pipes. Click here to read. 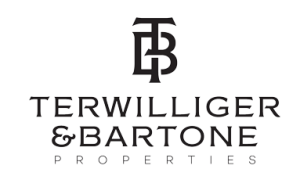 LIBI Member Bartone Properties announces Groundbreaking for their Hearthstone project. Click here for full release. LIBI Member & 2016 Co-Chairman of the Board Mike Kelly featured in LIBN article by Dave Winzelberg. Click here to read article. LIBI Members Engel Burman Group featured in Newsday’s LI Business section..click here to read article. LIBI Member Len Axinn of Island Estates Homes featured in Long Island Business News..click here to read full article.